What: See thousands of the exotic plants flanked by colorful pop art prints inspired by the work of Andy Warhol, Keith Haring, and Roy Lichtenstein. What: Pet live animals, watch sheep shearing and horseback riding demonstrations, and get your fuzzy friend fixed up in Teddy Bear Surgery. What: Meet the Big Bunny himself, make Easter crafts, and—of course—fill your basket at this first annual Egg Hunt. Children will be assigned to one of three hunts based on their age. 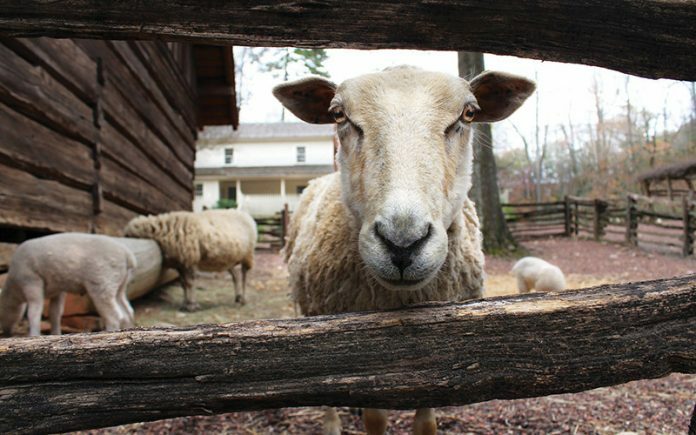 What: See farm animals, enjoy live bluegrass music, learn how to make natural dyes for your Easter eggs, get your face painted, and more at this back-to-nature event. What: The cobalt crew’s wordless, all-ages theatrics include percussion music, dancing, and cereal slinging. When: Tuesdays through Fridays 10 a.m. and 11:30 a.m.; Saturdays 12 p.m. and 2 p.m.; Sundays 1 p.m. and 3 p.m.
What: Mosey up to the Center For Puppetry Arts for country crooning and old-fashioned yarns, including the stories of Paul Bunyan, Pecos Bill, and John Henry. When: 10:30 a.m. to 4:30 p.m.
What: Show your kids the journey from fleece to Fair Isle in this ovine event, which showcases shearing, dyeing, spinning, and weaving. When: Friday 7 p.m.; Saturday 2 p.m. and 7 p.m.; Sunday 5 p.m.
What: The Theatre Project at the Mable House Arts Center, a community theater troop for kids and adults in South Cobb, performs the Broadway musical based on the works of Dr. Seuss. When: 9 a.m. to 6:30 p.m.
What: Sport your best hat for the 50th annual horse race—and dress up the young’uns for the kids’ hat contest, too. In addition to the main event, check out Jack Russell races, bagpipers, and a skydive demo. What: Kick up your heels in a mountain dance, plus hear storytelling and bluegrass from bands like the Skillet Lickers at the Appalachian culture showcase. What: Tear into a smoked turkey leg while gaping at costumed jugglers, jousters, acrobats, and more at the 30th annual Fairburn tradition. When: Friday 4 p.m. and 7 p.m.; Saturday 3 p.m. and 7 p.m.; and Sunday noon and 3 p.m.
What: The fantastical Soundsuits made by Chicago-based performance artist Nick Cave are striking enough as display pieces; when worn by dancers, they spring to noisy life. What: Participate in clinics for sports from basketball to dance to archery, play interactive games, and meet star athletes. What: Video game fanatics get a night to remember with this four-movement symphony that retells key moments from the Legend of Zelda franchise.